“It is your obligation to comply with the federal law in all respects in establishing your gaming operations which now must be entirely intrastate,” O’Toole wrote in the two-page letter dated January 18. The casinos were given 30 days to “provide plans” for complying with the new DOJ interpretation of the law that was enacted long before the invention of the internet. O’Toole said the idea now is to “minimize risk” for the casinos and the state. Thanks to the ambiguity of the DOJ memo, removing all risk doesn’t seem to be in the cards right now. Pennsylvania’s online casino market was already set to be ring-fenced, meaning that the games would only be available within Keystone State borders. 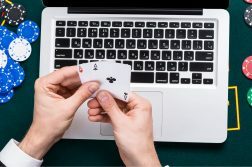 The exception was for online poker, which Pennsylvania was potentially looking to offer in tandem with other online poker states (Nevada, Delaware, and New Jersey). That liquidity sharing potential has been postponed indefinitely. 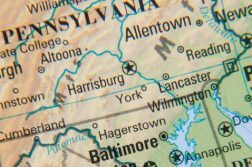 The big change now is that all aspects of an online gambling operation must be conducted within Pennsylvania and not cross state lines. The Wire Act pertains to interstate activity. Before the new Wire Act memo, Pennsylvania was permitting “interactive gaming devices and associated equipment” to be located elsewhere in the United States subject to certain conditions. That is all out the window, as servers related to online gambling now must be located within Pennsylvania. Payment processing related to online betting apparently must also occur within Pennsylvania, according to O’Toole’s letter. “Information in assisting” betting must also be intrastate, with certain exceptions. News reporting on gambling would not be illegal for 1st Amendment reasons, as well as potentially information assisting in placing a sports bet as long as sports betting is legal in both jurisdictions. It’s unclear, however, if a Pennsylvania sportsbook could use interstate transmissions to adjust sports betting lines. Some of the operators in Pennsylvania are headquartered in other jurisdictions. In other words, brick-and-mortar sports betting could be impacted by the changes O’Toole mentioned. Thankfully for sports betting, there was a U.S. Supreme Court ruling in May 2018 that gave states the right to have the offering. Online gambling more broadly doesn’t enjoy the same advantage. As mentioned, the casinos were given a month to craft plans and provide updates to the PGCB. There was no official timeline for an online casino rollout prior to the new DOJ memo, but all signs pointed to this spring. Pennsylvania was eyeing a coordinated launch, so no online casino was going to be first. It’s unclear if that will still be the plan. “While we fully recognize that this change may alter the plans of licensees in implementing expanded gaming offerings, it is a change not of the Board’s making but one commanded by the changing interpretation by federal law enforcement authorities,” wrote O’Toole. The next PGCB hearing is slated for February 6 in Harrisburg. It’s unlikely we’ll see any additional updates or information from the PGCB prior to the hearing, which doesn’t yet have an agenda. Following the DOJ memo, Deputy AG Rod Rosenstein released another memo, stating that there’s “a 90-day grace period on implementing” the new interpretation of the Wire Act. Additionally, the online gaming industry has to wait for yet another action by the feds. A big question right now is what the developments mean for the permits that companies have already sought. Eight online poker petitions were received by the PGCB. That offering is now all of a sudden even less attractive than it was before, as there is no sharing of online poker players until the DOJ reinterpretation is defeated in court of by an act of Congress. O’Toole’s letter didn’t mention Pennsylvania seeking to bring the issue to the courts, but that is in play. Still, it would not be surprising if one or more of those companies backed out of plans for peer-to-peer poker. To make matters worse, live poker revenue in Pennsylvania fell about 6% in 2018. Collectively, companies have already ponied up more than $100 million on regulatory approvals to offer interactive gaming. Approval for all three online casino offerings (poker, slots, and table games) had a $10 million price tag. Offering just slots and table games would cost $8 million, so a company would save $2 million if it ditched online poker. It is possible that a casino licensee might scrap online gambling altogether, if restructuring its online gambling plans proves too costly. In addition to Pennsylvania’s formal response to the DOJ memo, the American Gaming Association recently issued a statement. The AGA backed up Pennsylvania’s plans to continue with online gambling. Slane added that the AGA “will work with all stakeholders to preserve the ability of states and Tribes to regulate gaming.” Pennsylvania casinos will need all the help they can get in navigating through the ambiguity of the DOJ memo.